Bradley Snyder is a 2006 graduate from the US Naval Academy. After graduation, he attended the Navy's Bomb Disposal School in Ft. Eglin, FL. In a career that spanned 6 years he deployed to both Iraq and Afghanistan in support of OPERATION IRAQI FREEDOM and OPERATION ENDURING FREEDOM, respectively. In the fall of 2011, while conducting combat operations in Afghanistan, Brad was severely injured when he initiated an improvised landmine. Brad was able to quickly recover from his wounds, however, the blast permanently rendered him blind. Brad has spent the last year adjusting to his new life, and is working towards a new career in the corporate sector. As part of his transition, Brad competed in the 2012 Paralympics. 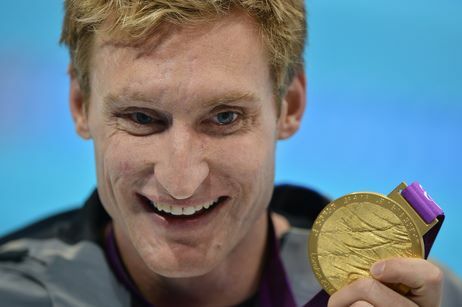 Brad swam seven events, yielding 2 Gold medals, and one Silver. Brad currently resides in Baltimore, Maryland with his brother where he interns with RedOwl Analytics and the COMMIT foundation.